Previous PostFriday Image No.191Next PostFriday Image No. 192. Thanks Robert. I’m pleased to hear the NAS storage is still working well for you. Sounds like you will need all the storage you can get if you are stitching 58 images from a Nikon D850. That must have taken hours. No, it did not take hours. I used Autopano Giga 4.4.1 on my Windows PC with i7-processor, 64GB RAM and 500GB free on HD. A stitch from 57 images took approximately 17 minutes with NEFs (91-96MB each) and 11 minutes with JPEGs (17-28MB each), resulting in PSB-files of 10.5GB and 168MB respectively. I “measured” by looking at the clock onscreen which shows only minutes. Yes, the price… But never mind, head up, it is our hobby and a nice one too! That’s quite impressive performance. I have tried the Gigapan software in the past and remember being quite impressed. I also used to use Hugin but stopped when the stitch functionality was launched in Lightroom. Most of my panoramics need only a few frames to be stitched. I also looked at PTGUI but didn’t like the interface which is why I liked Hugin. It’s the same engine behind both that and PTGUI. I also like that its free. With this new Nikon D800 addition, & its new lenses, we may have to start referring to you as “thewelterweightphotographer”! In case you are not familiar with this, in boxing at least it is the intermediate weight in between lightweight & middleweight – maybe some other sports as well. But it is a camera with an excellent reputation (I shot with the D7000 before size & weight considerations brought me to Fuji), & the image you posted was quite nice both in the color & B&W versions. Thanks Jed, and yes I understood the sporting reference. Shame I’m just edging into the heavyweight category. Despite enjoying the Nikon, the Fuji will remain my main camera. Unfortunately I didn’t get too many shots in Amsterdam. I agreed with my wife that we have to go back. Perhaps this time we will go from Hull rather than flying from Manchester. 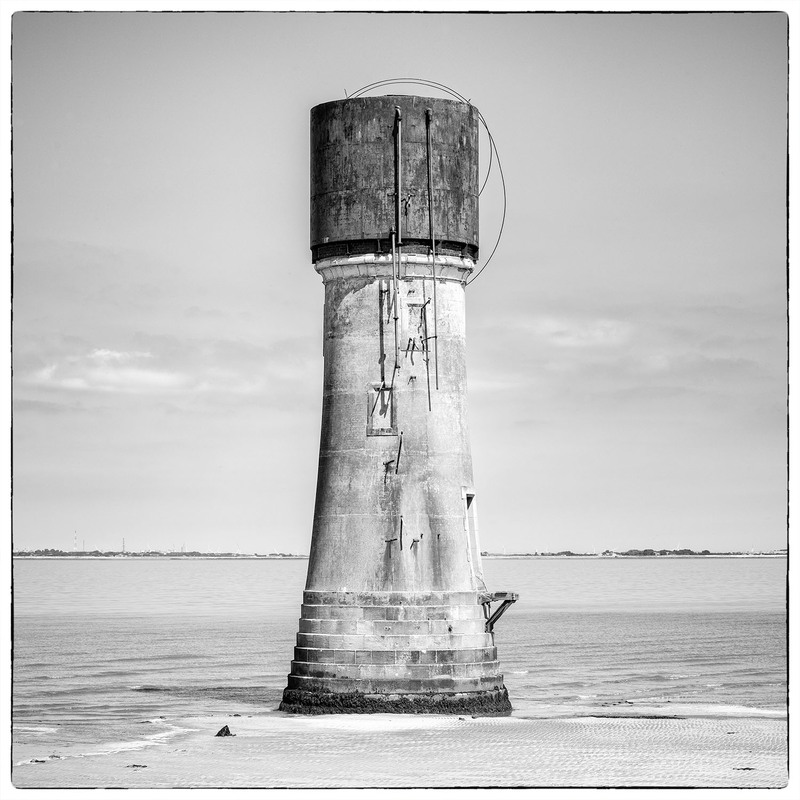 It will give me chance to revisit Spurn Point and the interesting sea defenses. fascinating image, story. will go look at UK map now. There seems to be a lot of people who are pleased I picked up another Nikon. The lenses this time are making all the difference. I still miss the tilting screen of my Fuji though. D850 has one 😈. And more everything! That sounds like a good idea for a spare camera. I’ve had a few conversions done by two companies in the UK and they are the only ones I know about. ACS is the first and whilst they did a good job, they were very slow (a few months I think) and quite costly. They did quite a lot of work with the BBC and it may be that something was taking precedence over my unit. The other was ProTech (just google ProTech Infrared Conversion). They were great. I talked to the guy who does the conversion to discuss my needs. They were cheaper than ACS and also very quick. I had the camera back in a week. One of my friends has also had a few conversions by them and is very happy with all of them. They managed to turn around one of his as a rush job in a day. Be sure you know which filter you want if you decide to have a conversion. My first conversion was the common 720nm filter but subsequently, I have selected 665nm. I think it creates a nicer look in strong light and is more usable in the winter/other weather conditions. If you then want to use a stronger IR filter like an 850nm you can get a screw in 850nm filter for your lens. You can also get full spectrum conversions which allow you to take conventional images as well. You will though need IR filters for your lenses to shoot IR and IR cut filters to shoot conventional images. Hope this helps. Thank you for your answer. The question which filter is employing and nearly upsetting me already a couple of weeks… Still could not decide. I do not want to have to use filters, so full spectrum is out of question. By chance I discovered, that a friend of mine has an external 720nm filter I can borrow for a test. We shall see. Have a nice weekend! Hi Robert. Just a word of caution. Using an external 720nm filter on a regular camera is quite different to using a converted camera. Personally, I would recommend having a 665nm conversion. The results appear better and it’s easier to use when the weather isn’t bright. You can also attach a 720nm filter to your lens and that is just like having a 720nm conversion. By “Using external filter on a regular camera is quite different to using a converted camera.” you mean long exposure times, seeing not much in the viewfinder and slow, uncomfortable workflow onsite? If so, yes, I know that. I just want to test the said filter. I have absolutely no experience with IR and that would be the first step in – maybe – a lengthy process. …or did I misunderstand the sentence? I have to search for examples with the two filters respectively (720 vs 665). I do not know what “results appear better” mean. What I would like to do are “B&W images” in the mountains; alpine landscapes with rocks, skies, Forests, etc. No problem. When you use an IR filter on a normal camera you end up with a narrow range of infrared wavelengths you can capture. You would have the 720nm filter stopping light below that wavelength. Equally, you also have the cameras IR cut filter which prevents light in the infrared spectrum from reaching the sensor. Cameras will differ but typically you won’t record light much beyond 800nm. You can test this for yourself. If you use a 720nm filter on a standard camera you will record something but the exposure will be long. Use an 850nm filter and you get nothing. With a converted IR camera you will record light with a wavelength above the strength of the conversion used. If your conversion is 665nm then that’s the lower limit of the wavelength but the upper wavelength is open. Add an 850nm filter to your lens and you still record an image (and you can hand hold) but it has different characteristics. When you come to process the RAW files, they also have a different “feel” to them. The ones from a standard camera aren’t as flexible and don’t hold up to processing as well. I found the 720nm RAW files less flexible than the 665nm. The 665nm can produce a much nicer IR effect and also works better if you want to create false colour IR using a channel swap. Got it! Many thanks, now I understand the difference. Turnover time is too short before my next travel, but In autumn off the camera goes! Have a nice weekend!